Bring the fun of the park to your own back garden with the Chad Valley Slide & Hide Multiplay. 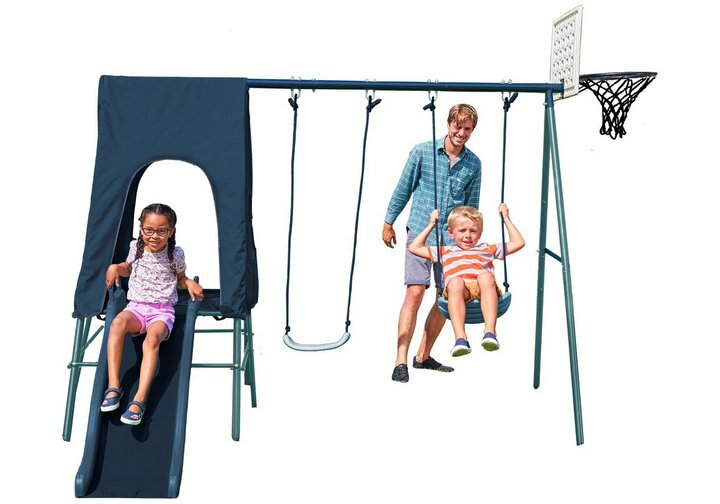 Kids can clamber about on the climbing tower, slide, play hide and seek, move to and fro on the saucer swing and get energetic with the basketball board. Built to last with a weather resistant steel frame and supplied with ground anchors to keep it secure whilst kids play and climb. (Maximum user weight: 5kg). Size H223, W300, D244cm. Get money off with April 2019 free Argos voucher codes, see if there's a discount code for the Chad Valley Slide & Hide Multiplay product. 4.5/5 from 13 recent reviews.